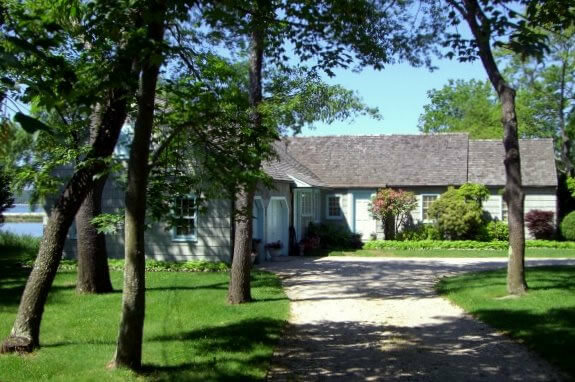 As they have for more than 30 years, the Friends of the John Jermain Library will present their annual house tour in July. Five houses and a local church will be featured on the tour, which is set for Friday, the 11th, between 11 a.m. and 4 p.m. The tour includes three houses in Sag Harbor, two in nearby North Haven, and Christ Episcopal Church in Sag Harbor, which features lovely Tiffany stained glass windows. Among the houses is one with a kitchen that once was a meat market in Noyac. It was moved to its present location and added onto the c.1835 house to be transformed into a kitchen. Old wooden beams, wide plank floors and a charming window seat add to its country charm. The living room features two leaded glass church windows. Hollywood memorabilia can be found throughout the Sag Harbor home of a former movie actress. The c.1830s Greek revival has been lovingly restored and a new addition blends seamlessly with the old. Vibrant colors are used throughout, a perfect foil to the tasteful furnishings. Many of the windows are original with their old, wavy glass intact. Tucked away down a narrow lane in Sag Harbor is a house that was built in the 1930s and rambles over several levels, creating the illusion of it being much bigger. 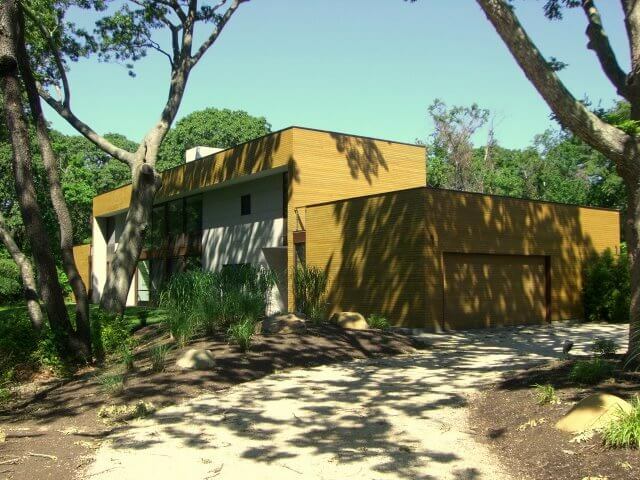 There is a view of Sag Harbor Cove, beautiful landscaping and a bamboo and lava rock garden. The house features an entirely new kitchen and a collection of Indonesian art brought back by the owners from their travels. Light refreshments will be served in the garden here during the tour. On the water in North Haven is an early c.1800s cottage, built by Hannibal French and moved from its original location on the corner of Division Street in Sag Harbor in 1954. The current owner has opened up the back of the house with expanses of glass, maximizing the incredible view. Thirty-two species of birds have been counted on the property. The magnificent weeping willow tree was planted in 1976. When a North Haven couple decided to build a new house their architect son persuaded them to let him design it, and then convinced them that it should be totally modern. Finished in 2007, it features many unique innovations such as a thin sheet of floor-to-ceiling steel behind the fireplace. A hole had to be cut in the roof to drop it into place. All gardens are contained above ground level so deer can’t get at them. The pool was positioned to maximize its time in the sun. Be sure to look for a strange tree with giant leaves that seems to grow only in North Haven – it’s in the backyard. Tickets for the tour are on sale for $35 in advance and on the day of the tour for $35.00 at the Library on and the Wharf Shop on Main Street. For further information, call the library at 725-0049.